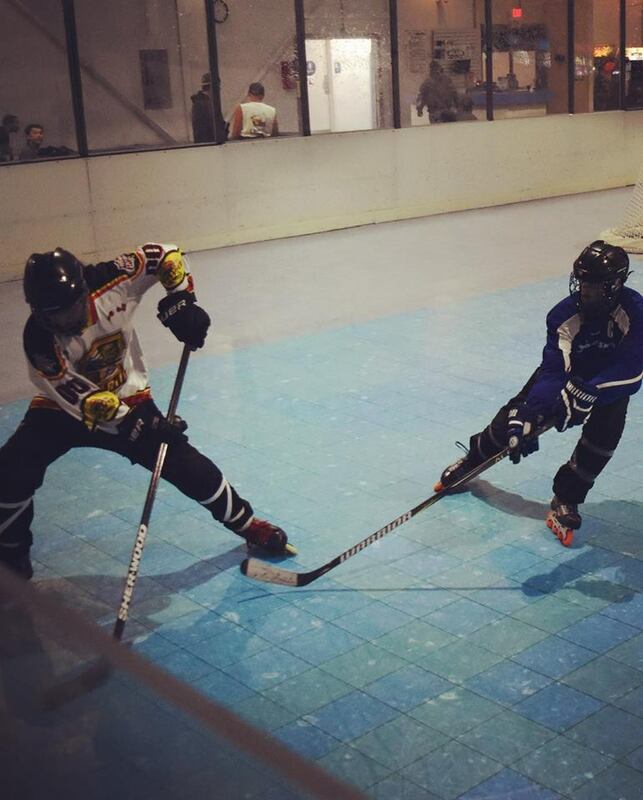 Adult Hockey 101 is an introductory course teaching you how to become a better hockey player! From skating and passing, to shooting and stopping, CCSA’s Youth Hockey Program is here to help you fulfill your Hockey Goals! Prior skating or hockey experience is not required. See below for more information. Players are required to wear appropriate hockey equipment, including a helmet with face-mask, elbow pads, gloves, shin guards, pants (no tears), and Inline hockey skates. Sticks must be taped appropriately. If the stick has been used outdoors, please re-tape before using on our surface. The playing surface is an indoor plastic sport court. A durometer of 72A–76A is recommended for your wheels. Use of a harder wheel more suited for asphalt or cement will cause you to lose traction and slip on the court. We are unable to offer make-up sessions for any classes missed due to personal schedule conflicts including team practices. Players will not be permitted to skate in any session or class other than what they are enrolled for. In the event the Hockey Instructor is unavailable for a class, we reserve the right to substitute a qualified instructor to take his place, or the class will be rescheduled. Get a head start! Click Here to learn how to put on your gear! or Click Here to follow our CCSA Youtube Channel giving you access to drills, tips, and tricks. Click here to visit our calendar for all of our up-to-date events. Copyright 2019 - Central Coast Sports Arena. All Rights Reserved.